Will and Dawn sent in 3 fantastic pictures of their Jeep and off-roading adventure at the Northwoods Jeep Jamboree. They report they were the only Jeep Patriot there! I am sure they did that Patriot proud on the trails! Dawn and Will reside in Indiana. 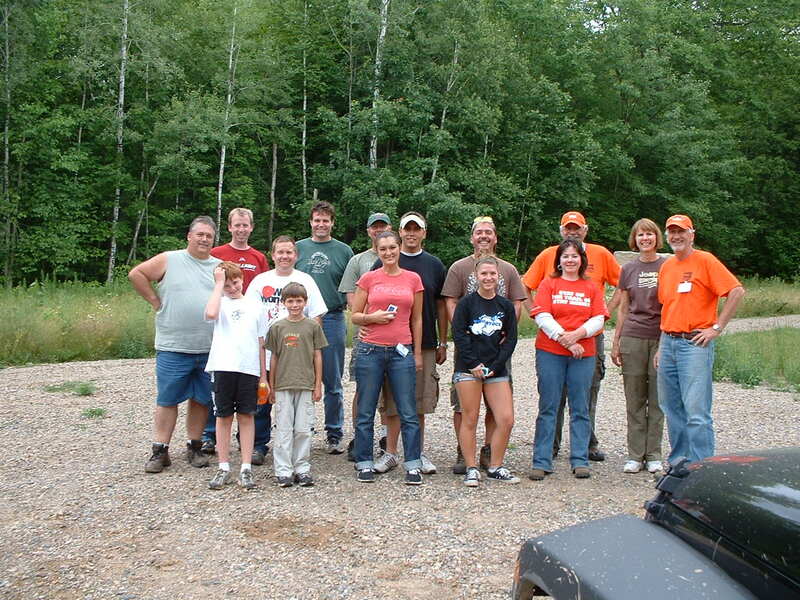 The next Northwoods Jeep Jamboree is going to be held in Crandon Wisconsin on July 15th- 17th, 2010 so mark your calanders and maybe you just might meet Will and Dawn there. This is a trail designed for the first time Jeep off-road enthusiast or Jeepers who are just looking for a pleasant drive through the woods. Jeeps with 30” tires and no lift should do just fine. The trail will traverse the entire Mole Lake Indian Reservation and will give you an appreciation for the beauty of the Wisconsin Northwoods. This trail will only be offered on Friday and is designed for the driver to become familiar with his/her vehicle while generally just having a fun day in the woods. Some minor challenges are to be expected. You may even find a need for your tow strap. This trail is a natural progression for those Jeepers who enjoyed the 101 Trail on Friday or want a trail slightly more challenging, but still not too extreme. Things get a little more challenging, so there’s less time for taking in the sights. This trail is excellent for Jeepers new to trail riding. Stock, as well as slightly modified vehicles, will have an awesome adventure on this trail. The adjidjad is the speaker of words and you’ll have plenty to talk about after your day of adventure on the Spirit Mountain Crane Trail. This trail contains numerous hills, rocks, logs, tight turns and an overall challenge for the slightly modified vehicle. Trail guides will be available to help you traverse the tight fits and to avoid trees. Vehicles that are not lifted or only slightly lifted will find themselves resembling a turtle as they become high-centered. Vehicles with 33” tires, front and rear locker differentials will be at a definite advantage as they attempt to complete the Spirit Mountain Turtle Trail. Kokoko depicts wisdom in many cultures. If you’re not an experienced Jeeper you might be wise to avoid this challenge. Seasoned Jeep veterans and rookies alike will find themselves on the end of a tow strap or winch cable. Weather conditions can make this trail an extreme challenge. All skill levels of Jeepers will enjoy the landscape and challenge that kokoko presents. This is truly an extreme trail. Full size Jeeps are not allowed. Lockers, winch, and at least 33” tires are required. Lesser experienced Jeepers can expect some body damage or mechanical failures. The Spirits will be watching as you attack 9-inch hill (named after the largest axle to yet be claimed by it). If this hill doesn’t get you, rest assured the extremely tight corners, hills and a 30-inch rock ledge will. This trail is not for the faint of heart. Weather conditions can make this trail impassable. All Jeeps can expect some body damage. This trail is a natural progression for those Jeepers who enjoyed the 101 Trail on Friday or want a trail slightly more challenging, but still not too extreme. Things get a little more challenging, so there’s less time for taking in the sights. This trail is excellent for Jeepers new to trail riding. Stock, as well as slightly modified vehicles, will have an awesome adventure on this trail. Experience the thrill of flexing your Jeeps suspension while on this day of adventure on the Rice Lake Fox Trail. This trail is comparable to Spirit Mountain Crane Trail to the east. Seasoned Jeep veterans and rookies alike will truly be challenged by this trail. Weather conditions can make this trail an extreme challenge. Even in excellent conditions this trail requires constant attention to your driving. Don’t let your guard down for a moment lest Bushwhacker Ridge may claim yet another fender flare or worse. All skill levels of Jeepers will enjoy the landscape and challenge that wawashkeshi presents. Larger and wider Jeeps can expect some body damage here! This trail has the largest and most challenging mud hole on the Reservation. In wet times, expect to use your winch and/or tow strap. Lockers, winch and at least 33” tires are highly recommended. This is an extreme trail challenge. Full size Jeeps are not allowed. Lockers, winch and at least 33” tires are also required. 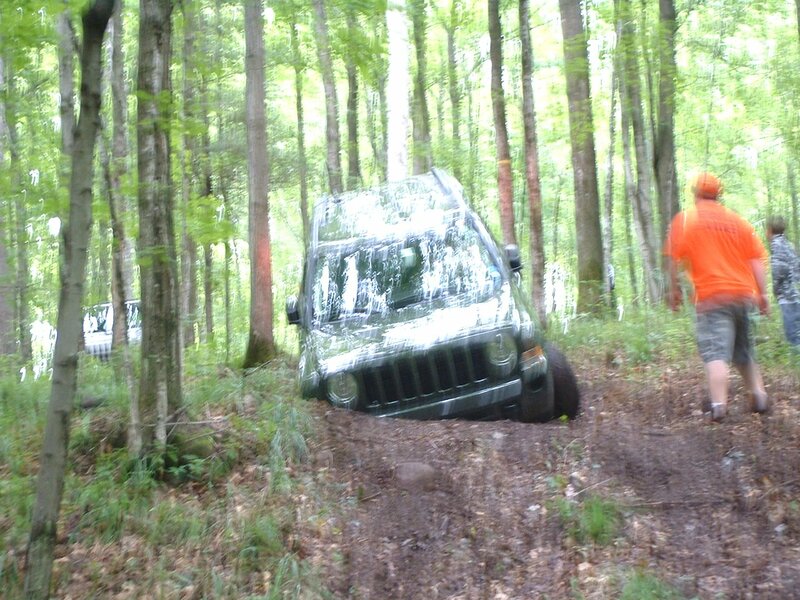 Lesser experienced Jeepers can expect delays and/or or mechanical failures. If you like to experience the flex that comes with a modified Jeep, you’ll love the off-camber action on this trail. Weather conditions may make this trail impassable. Jeepers can expect body damage on this trail! POINTS, ESPECIALLY WITH STREET TIRES! If you would like to receive 10% off your next purchase from XtremeTerrain, plus an XtremeTerrain sticker and be featured on our blog just submit a picture of your Jeep! Feel free to give a shout out to your favorite off roading club, trail or even a off roading tale or two with your picture submission. We will be more than happy to publish that as well! It’s a great way to promote your off roading club, find other like minded individuals, and share some great off roading stories!